Familiarizing participants with the characteristics of contemporary officer of the industrial safety and occupational safety, and the concepts of efficiency, effectiveness and excellence in the areas of health and occupational safety. Enabling participants to acquire the environmental risk analysis skills and to take action and preventive plans for installations security. 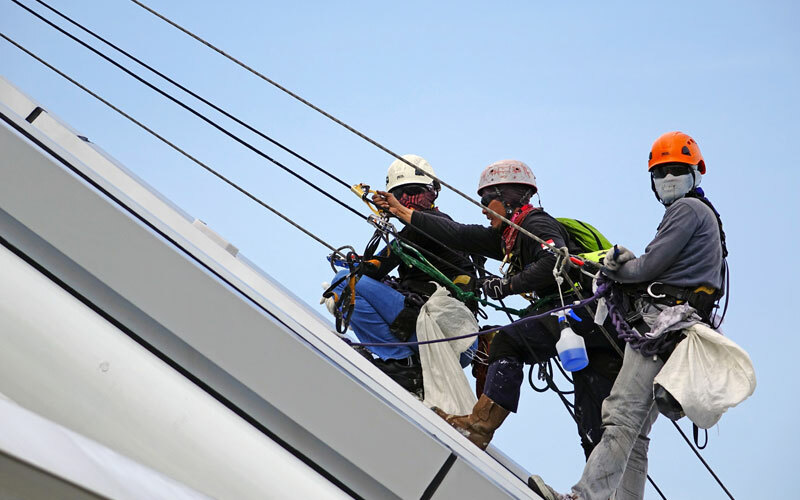 Providing participants with practical experiences and expertise that enable them to identify and predict risks as well as responsible, effective and successful handling of accidents and emergency risks in installations. Managers and leaders of industrial safety and occupational safety and their deputies, managers of human resources, training and internal development, and all those responsible for security and safety in various institutions, whether government or private companies, factories, drilling companies, petroleum or community organizations which have relation to rehabilitate occupational security and safety cadres, or those with relevant industrial and productive activities, and personal who are rehabilitated and prepared them to take on those tasks. Occupational health, safety and environment plan. Protecting of installations and properties during execution against fires and explosions. Training of project personnel in the safe labour system and using personal protective equipment. Domestic legislation and relevant laws on safety, health and the environment. The responsibilities of safety, health and the environment towards the various executive levels of the project. Administrative procedures for safety and the environment. Work risk analysis according to OSHA (US Health and safety) standards. The risks of the working environment and the risks of the human race. Engineering risks in the workplace OSHA (US safety standards). Mechanical hazards and safety measures against their risks OSHA..
Safety rules in mechanical workshops OSHA. Procedures for safety of electrical hardware hazards (OSHA). Foundations and principles for the operations of securing and protecting installations. Modern directions to identify mechanisms for implementing security measures. The development of security strategies. Preventive measures for the security of installations. Regulating the entry and exit from and to important installations. Cybersecurity threats and information security. International quality standards in securing information centers ISO 270001. The security dimension in organizing of conferences and meetings.. Regulating of the rotation of security services at important installations. The concept, objectives and purposes of the emergency plan. Officer responsible for assessing the situation and determining the level of emergency. Prerequisites for elements of an emergency plan. Effectiveness and efficiency of the emergency plan. Accident investigation to determine the root causes of the accident and prevent its recurrence. The duties of individuals in emergencies. Conducting drills and training exercises. Practical workshop (preparation of emergency plans, rescue and evacuation).